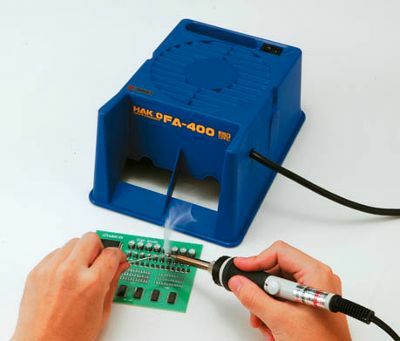 Solder more effectively and efficiently at an affordable price. The Miniphaser voltage regulator is made with solid state circuitry to maintain consistent soldering temperature for better control and less frustration. Has non-skid feet and a 6 ft, heavy duty flexible power cord. Handles up to 600 Watts 120V. Accepts 3 prong plugs. The Glastar Iron Control is a bi-metal regulator which is more energy-efficient and reliable than any other iron control on the market today. Handling up to 1800 watts and equipped with a 3-prong grounded plug, it can regulate the temperature of any iron. Includes detailed instructions. UL listed. NOTE: An optional special high efficiency filter removes up to 90% of airborne particles - the exhaust air is actually cleaner than the room air! 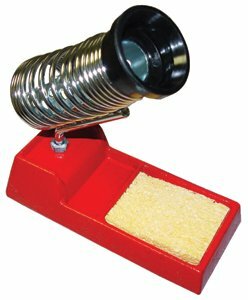 Keep your soldering iron handy and safe. Can hold your iron safely, hot or cold in its steel safety coil. 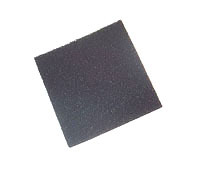 The heavy metal base will prevent tipping and contains a tip cleaning sponge to keep tips free of debris for easier soldering.